Someone once warned me that if I ever take part in a real Passover ceremony, I should first look at how big the wine cups are. That seems an odd warning, but if you understand the Passover, you understand why. The Passover ceremony includes drinking four cups of wine, and this does not include anything you drink during the supper. 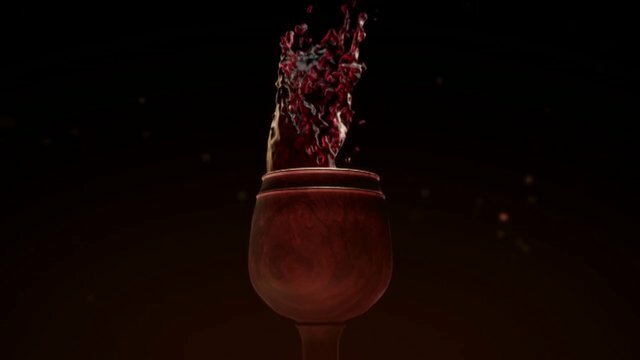 These cups correspond to four statements of God from Exodus chapter 6: (1) “I will bring you out” (2) “I will free you” (3) “I will redeem you” (4) “I will take you as my own”. The first two you drink at the beginning of the supper. The third and fourth come after the meal has been eaten. “After the supper, he took the cup, saying, ‘This cup is the new covenant in my blood…” Which cup? It would be the cup that comes right after the supper, the third cup, the cup of redemption. In that moment with his disciples Jesus made it clear that redemption is inextricably, intimately, miraculously intertwined with his blood. Redemption is found in his blood alone. Receiving his blood is to receive redemption. For good little Jewish children who sit nicely through the Passover meal, there is a fun tradition that involves a piece of matzah bread. 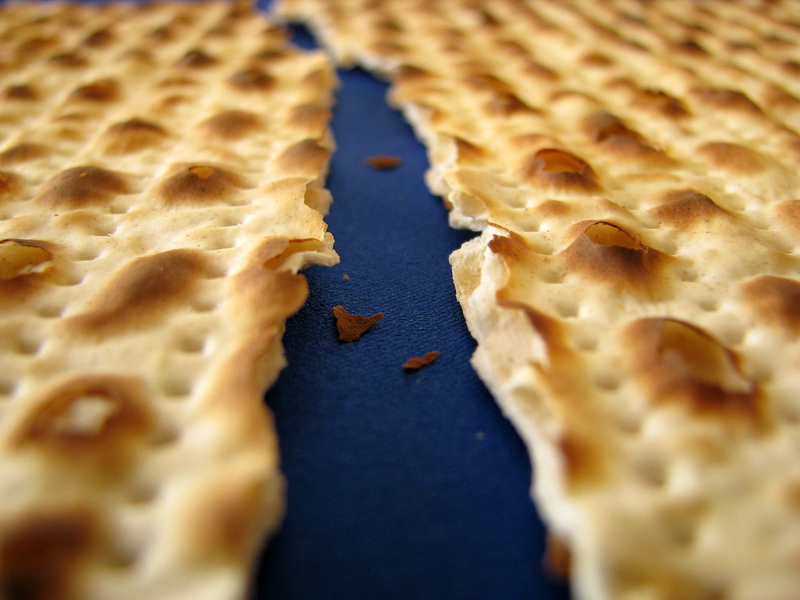 Before the supper part – which takes place in the middle of the ceremony – the middle piece of the three pieces of matzah is taken, broken into two pieces, and the larger piece, called the afikomen, is hidden in a small cloth or bag somewhere in the room. After the supper, the children get to hunt for it, and the one who finds it gets a prize, usually a piece of candy or a coin or small trinket. It’s a nice tradition that involves the children and makes the Passover a little more fun for them. But as I’m sure you’ve guessed, there is a lot more to the tradition than just fun for the kids. Read any contemporary Jewish Passover guide, and what you’ll read about the afikomen will be about the same as what I wrote above. Modern Jews have lost sight of the meaning and purpose behind this tradition, and have brought it down to the level of a children’s game. I am guessing it is because there is unmistakable symbolism tying this tradition to Jesus Christ. The Passover is a ceremony full of symbolism, with all the rituals and ceremonial food and drink pointing either back to something God has done or forward to something God would do. Of course, all of it is now “has done” because Christ, the fulfillment of all the Old Testament prophecy and symbolism, has come. Note, however, that much of the symbolism and ceremony was not prescribed by God. Rather, these things were developed over the years as rabbis and other spiritual leaders sought to form an orderly way to put into practice God’s instruction to continue the Passover year after year. The symbols and recitations incorporated the Scriptures they received from God’s prophets, no doubt changing as new words from the Lord came. It is not unlike our liturgy, in that sense, which while not prescribed in Scripture, still incorporates Scripture and is useful in consistently pointing us to specific truths. However, even though it was not ordered by God, there is no doubt Jesus intentionally made use of the symbolism in the ceremony to add significance to the things he said and did the night before his death. We have already seen this in his words, “Do this in remembrance of me” as he instituted the Lord’s Supper. Another place to see it is in his words in the Garden as he prayed. Lessons from the Passover: Remember! You know the story of the Exodus, how God brought his people out of slavery in Egypt to a land all their own. You know how on that last night in Egypt he brought a final, terrible judgment on the Egyptians for defying him and oppressing his people, and he spared his people who obeyed his command. You know that for generation after generation, year after year, those people celebrated this event with a ceremony reflective of that night. They did it to remember. If you have never gone through a Passover ceremony or studied up on it, you might think it is mostly about eating flat bread and lamb and drinking wine. Maybe you know something about the eating of bitter herbs and fruity paste and so on. But if you ever have gone through one, you know how much time is spent talking. Reciting, to be more specific. Reciting the story of how God brought his people out of slavery, made them a people all his own, and gave them a new land of their own. The ceremony is all about remembering. The ceremonial foods, the ceremonial washing, even the ceremonial cups of wine that are drank, all are used to remind the participants of God’s grace and favor in spite of mankind’s sinfulness. For the Jews of Jesus’ day – for his disciples, who had been doing the Passover for years – they would associate the Passover ceremony with a time to remember their deliverance. “Remember your deliverance,” said the Passover ceremony.